Bring the English garden into your home with our bright and cheerful Summer Jug. Making the most of what the season offers, we’ve collected together some of your favourite flowers to make an arrangement that looks fresh, vibrant, and tasteful. 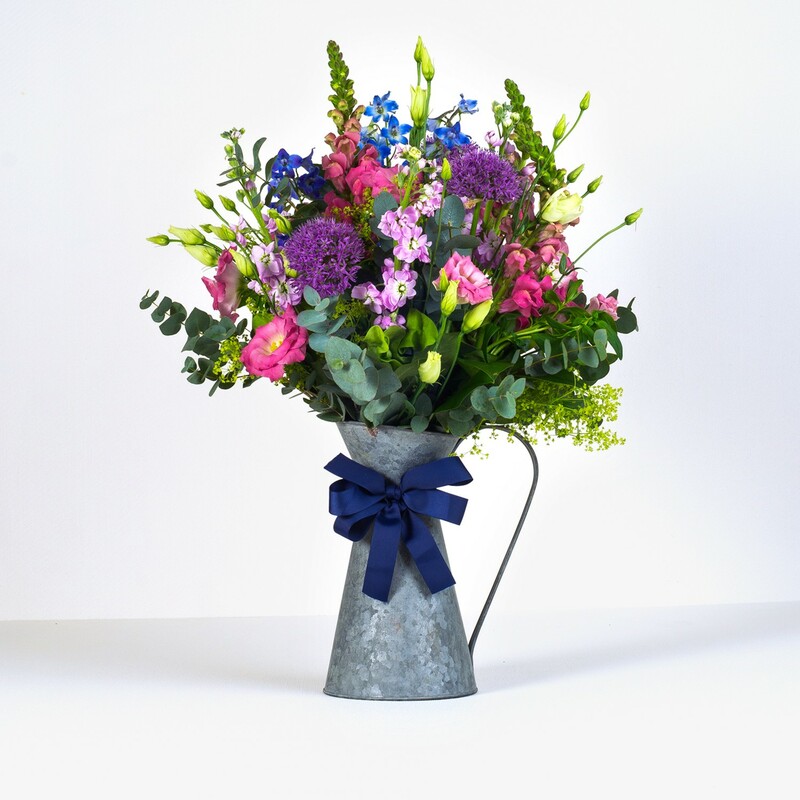 Displayed in this lovely rustic jug, the combination sings with the colours of a border in bloom, from vibrant cerise pinks, rich purple, gorgeous blue and a spray of greenery. The completed effect is of a burst of flowers collected after a country ramble, and makes for a captivating arrangement that will look lovely in your home or as a gift.